Build commissioned by a friend of a friend. Was asked to do orange and white w/ RGB. No other theme specifics except to keep it clean. This person makes custom sneakers and as I was working on the build I saw them post a pair of Dragonite sneakers they'd made for themselves so I decided to include that on the build as well as the shoes from the Gen1 Pokemon trainers. In light of the feature I wanted to throw some more details on the build out there. I really appreciate all of the positive feedback from y'all! I also threw a detailed price list below. Actual cost was a little over $1,500 w/ some of the stuff I left off the original list and let prices lapse on. This was my first time working with "unicorn puke" and that was probably the most frustrating part of the build. I ordered the Corsair fan originally not realizing it needed a special controller from Corsair in order to work as advertised. I have a ton of RGB/W LED strips and controllers, but the buyer made it clear he wanted the unicorn puke so I went ahead and bit the bullet on the ~$50 Corsair LED strip which I ASSUMED would also be able to control the Corsair fan. I was really peeved when I got the LED controller only to realize I needed ANOTHER controller just to make the fan work. I realized then I should've just bought their freaking kit for ~$130 and been done with it . . . because à la carte I was looking at about $120 in controllers just to make ONE fan work! 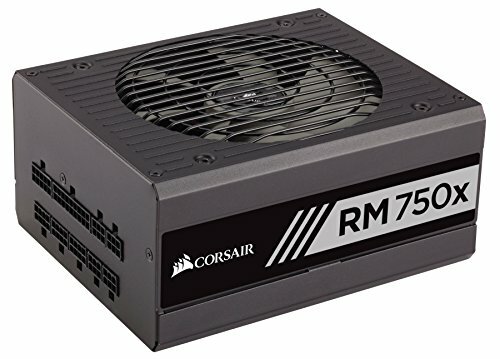 C'mon, Corsair! Thankfully I found someone selling the Commander Pro on a reddit hardware swap and scored it for 30 bucks. Still a nightmare. In Corsair's defense the LL lighting setup really is a dream once you get it all dialed in and the software control is pretty easy and seamless. I realize you're paying for a proprietary system here and not just hardware. Just know if you're going to use their system go ahead and buy the kit even if it has more fans than you need and don't try and "save money" like I did! Sheesh. The buyer said he wanted clean so I removed a lot of the EVGA decals and branding which they made very easy to do (the case even comes w/ extra decals in different colors to fit your build). I removed the top grill and painted it orange (with Rust-Oleum "Real Orange" which I must say looks fantastic and way better than their regular orange despite the silly name!). I also disassembled and painted all the things. I de-soldered wires on the case fans to make my life easier and just taped over the others. I tested each fan with my handy-dandy case fan tester I jury rigged a few years back (just a wall adapter w/ a fan connector spliced in). I didn't run into any balance issues (tested each one standing alone on the desk while running) and have painted fans on my currently six-year-old build which I'm typing this on right now and have never had any issues. Just take it slow and use light coats. I think I ended up with at least seven coats on the fans. I originally ordered an "EZDIY" PCI riser from Amazon but they sent me some b-stock version w/ the mounting holes covered and I quickly realized it was going to take a TON of work to make work in the case. I ponied up and returned it and spent the dough on the real-deal riser from EVGA. The stand-alone riser doesn't include the necessary case screws and support bracket, but the case includes all of those accessories even if you buy the version without the included riser. I normally do full custom sleeves from PSU to PCB but since I had the room decided to do extensions for this build. Holy heck, so much easier than full-on new sleeves! No pin-outs... no dummy/ghost wires... no capacitors... no mapping and soldering double wires... no panic attacks every time you plug something in wondering if you're going to go pop-pop-fizz-fizz followed by a little puff of smoke and lots of cursing. I ordered a ton of different paracord colors since you really never know what you're going to get w/ online color selection and finally found one that I liked from eBay. I had the idea early on to replace the the front panel w/ orange plexi so I'd already ordered the sheet off eBay for that. I made my panel about half an inch thinner on the horizontal dimension than the factory once since a lot of reviews I'd read on this case said that EVGA did not leave a lot of breathing room w/ their glass panel for front panel fans. Since I moved all three factory case fans to the front for positive pressure in the case I wanted to make sure they had room to breath. Speaking of the case: I'm normally a Corsair (esp. 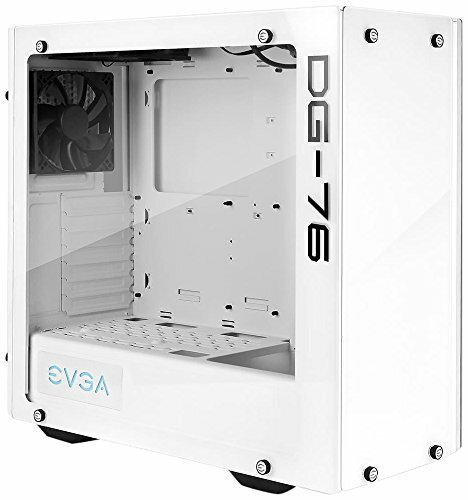 Carbide) fanboy when it comes to cases, but I got a great deal on this EVGA case and I am a big EVGA GPU & PSU fanboy so decided to give it a shot. Overall it's a great case. Plenty of room to work w/ lots of seemingly well-thought-out features. There are lots of cosmetic "layers" to the case but it's really, really simple to disassemble and get to what you need. One gripe was the factory PSU shroud is a little bit of a pain to work around. It's entirely fixed in the case, and to move the PSU in and out you actually remove a portion of the rear panel to slide the PSU in and out the back of the case. Kind of a pain for certain cable management tasks but it's bearable. I hope corsair doesn't ever try to convert this feature to a smaller form factor because that would be a nightmare. I decided to add the Pokemon features pretty late in the build and tried to keep them "clean" as requested. I was really stoked with how it turned out and the buyer loved it. I spent about three or four hours vector-tracing the Dragonite and shoes in Adobe Illustrator in order to get clean plots on the vinyl, but I was really happy with how it all turned out. Thanks for reading / looking / commenting -- I really appreciate the positive feedback and am happy to answer any specific questions in the comments. I appreciate it! Been crossing my fingers for a feature for darn near six years now. The wait should be over soon. Well, at least other members of pcpp appreciate the result of your efforts! This color combination always reminds me of a creamsicle. A lot of personalized effort was put into this, That's pretty neat. And... featured! This is actually the first time I've guessed a feature. Congrats! Great build, I love all the custom modding and details that was put into this PC. Hopefully it gets a feature. Much thanks! I thoroughly enjoy doing this stuff. Haven't been able to do a proper build for myself for about six years, but I have a lot of fun doing these builds for other people. Colors are awesome! Build is awesome. +1 and hopefully a feature. Good job! Great mods! Everything turned out clean and I like what you did to the top of the case. do i smell a feature? I really hope PCPP features this build because it is beautiful. Very cool! I didn't even know this existed. I would have seriously considered it had I known about it. In all honesty I was already a little peeved at how much money I was throwing at Corsair just to make the RGB stuff work (mini rant in full description). Man, I can appreciate how much effort went into this build.. hope it gets featured, thanks for taking the time and showing all the pics. Ive seen people complain about painting the fans.i mean did it affect fan speed rpm at all? It hardly makes a difference unless you went too heavy with multiple coats that caused weight imbalances. I'll have to check that one out -- don't think I've seen it! Just ordered that same riser for my DG-75. States "screws not included" Do you know what size I need to get? Nice build, way too much work for me. Short answer: I don't remember what size on the screws and unfortunately I've already given the build and documentation to the owner so I can't measure for you. I got a killer deal on the case and only decided to do the riser after the fact. Apparently you can get a version of this case w/ the riser included but it was about $100 more than what I paid for the case. If you're using this same case the riser screws are actually included with the case even if you get the non-riser version of the case. An amaizing build, so much effort translated to a good looking pc. Bien hecho! If this doesn't get feature... Riot. Just a matter of time brother! I'm calling it! FEATURE!!! Good job, my friend. Told ya!! Congrats! I commend you for your diligence, determination and going the extra mile to build an exceptional product for your buyer. Your nose happens to be right! I really do like the style of the case, How did you go about decorating it? Next featured build?! Great customisation! Who's that Pokémon!!!!!!!! Awesome build! Great job. La leche naranja tiene un buen sabor, sin duda. That build looks dope, gz mate. Attention to detail is amazing, you should be really proud of this machine. Amazing! I'm curious if the paint is throwing off the fan blade balance, but if it works it's probably all good. I also see that you bought stuff from mod-one! They make amazing stuff, great service. I didn't have any issues with balance. I'm typing this right now on a six-year-old build with painted fans and have have never had an issue. I also bench tested each fan by plugging it into a wall adapter and letting it stand up and run on the desk w/out being attached to anything. Mod-One is awesome! I wish I'd found them sooner. I'm always ordering ATX connectors from Malaysia and China on ebay but they take forever to get here and you're really rolling the dice on quality / fit, etc. I stumbled onto mod one looking for a nearby vendor that would arrive quickly (I'm about ~120 miles north of Los Angeles). I'm definitely going to be using them from here on out -- arrived super quickly and the quality is fantastic! Thats good that the fans are working, that does make me more comfortable trying it out (after I practice painting). Mod-one's customer service is amazing, I managed to screw up my entire order of cables. They called and emailed me telling me that my order looked a little funny. If they hadn't told me, it would have ruined my themed build. I still screw up a lot of paint jobs . . . it's not hard to do as long as you're patient and that's where I struggle. You gotta do light coats with lots of time in between and I struggle with that. I haven't spray painted in a long time, but I'm just gonna do light coats like you suggested. It's really the inside of my case and radiator that matter since that's more visible. I'm having trouble finding a certain shade of blue though, I'm really not sure where to look for the color. Is there any sites/places that have a lot of choices? The customer service proved that paying $100 for handmade cable extensions was worth it. That's the same reason I like EVGA. I know home depot used to do custom color matched spray paint. The other place you might try is an automotive body shop store or a general auto parts store. You'll pay more for smaller cans but you can often find lots of different shades to match factory paints. Care to share any details? Just some creative inspiration on a build you're working on? Nice! I commend your gumption... Those small cases can be a bear. Definitely going to want to make your own cables and avoid extensions to save room. Possibly the best of both worlds: Mod-one sells these "shorty" psu cables which are pretty ingenious. 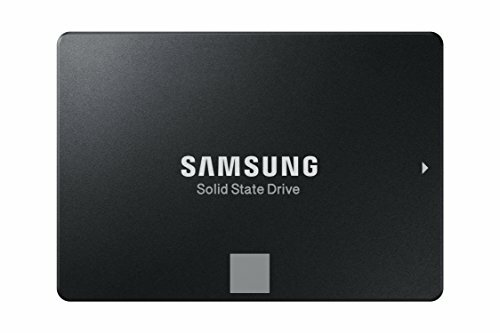 You just make (or buy) extensions to run to this which cuts out the factory cables entirely and saves a ton of space (while also saving you the headache of making custom cables that connect straight to the PSU). Unfortunately this is not my build to keep and has already been given to the person who commissioned it. I'm still rocking a six-year-old build for personal use (have since upgraded to 980ti). im currently building my first pc but looking at this, damn!! looks so sweet and the dedication and effort to get it all just so is so awesome!! Brilliant build and glad you got the reccognition you deserve mate!! Inspirational!! Yes will do man it’s not up to a lot of your standards. All bought parts. 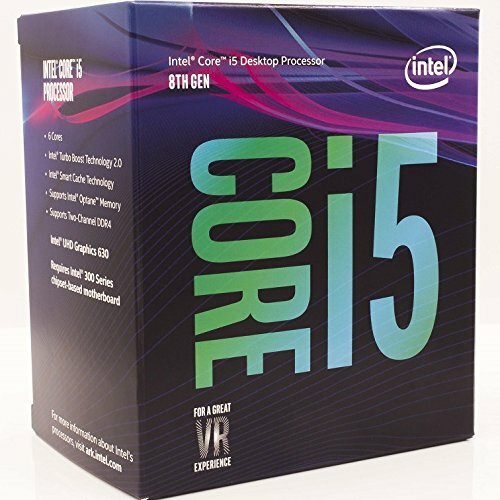 But waiting to buy my i5 8600k as I want it to last a bit! Looks clean -- good work! Im curious why you routed the 24pin + gpu cable like that instead of routing it through the back? To show off all the custom sleeving... lol. I didn't have the time to do it but I had planned on making some kind of extension for the PSU shroud to make it a little prettier. Milk and Orange indeed. Looks great. looks nice, good part pairing, what else do you want? A bag full of hundred dollar bills. Never tried orange flavored milk before, or is it orange milk? In which case isnt that just orange juice? Either way, nice build! You got some mad modding skills! I hear people caution against it, and I understand there may be some potential risks, but I've been doing it for years and have yet to have an issue. "Vanity Over Sanity" is my PC building motto and I'm readily willing to accept the potential risks in exchange for the gorgeousness. 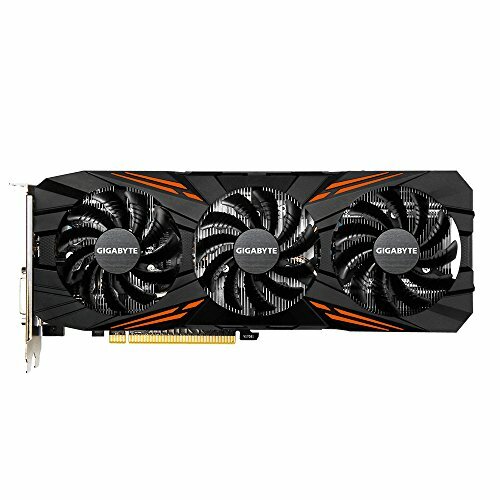 No problem with mobo/RAM compatibility? I have the same mobo but I was afraid to buy this RAM model because it isn't on the QVL list on MSI website. I admittedly never checked the timing or other settings in BIOS to ensure I was getting full use of it, but it booted without issue and I had zero stability issues. Think the attention to detail was awesome! The featured Gods have smiled upon me -- in light of this I added a bunch more info to the description you may be interested in. As much I would love to be featured.... I gotta respect clean small builds like that. Cable management can be a bear.